Fiat will offer the TwinAir engine, sold with the 500, shown, in three new versions and on further models. 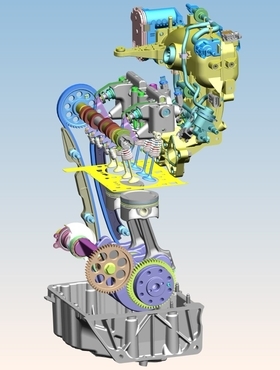 TURIN – Fiat S.p.A. plans to expand the number of vehicles fitted with its TwinAir gasoline powerplant, Europe's only two-cylinder engine, and intends to boost production of the unit. 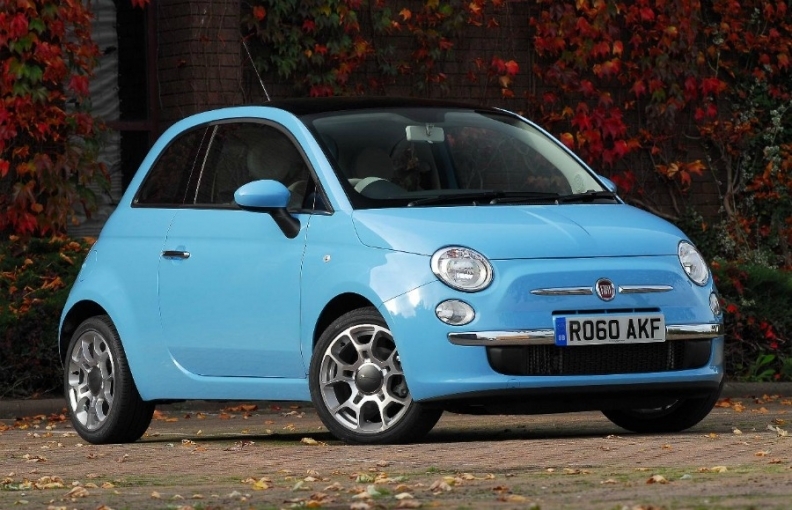 The 875cc TwinAir, which went on sale in July 2010 in the Fiat 500 minicar, was chosen on Wednesday as the 2011 International Engine of the Year by a jury of 76 journalists and industry experts from 36 countries. Last year, Fiat built 14,000 TwinAir engines and plans to increase output to 100,000 units this year and to 250,000 next year, as the unit becomes available on a broader vehicle range. Lancia will begin offering the engine in the new Ypsilon when it begins sales of the subcompact on May 24 and Fiat plans to start rolling out the TwinAir in its best-selling Fiat Punto subcompact by the end of the year. A more powerful 105hp turbocharged variant, up from 85hp, which will debut in mid-2012 on the new small minivan family that will replace the Fiat Idea and Multipla. A greener 80hp turbocharged bi-fuel version, able to burn gasoline or compressed natural gas (CNG), will be fitted to the Panda in the second half of next year. The CNG TwinAir will cut carbon dioxide emissions to about 80g/km from 92g/km (4 liters per 100 km) currently achieved by the 85hp gasoline unit. A normally aspirated TwinAir will debut in the next generation of the Panda, Europe's best selling minicar, which launches at the end of the year. This engine delivers 65hp. Fiat plans to produce 100,000 TwinAir engines this year, up from 14,000 units in 2010. Fiat builds the TwinAir at its powertrain plant in Bielsko-Biala, Poland, which also manufactures the four-cylinder 1.3-liter Small Diesel Engine used by Alfa Romeo, Citroen, Ford, Fiat, Lancia, Opel/Vauxhall and Peugeot on passenger cars and light commercial vehicles.